Being a victim of torture is not a good enough reason for asylum seekers to be allowed to stay in the UK, according to Minister of State for Immigration Robert Goodwill. Goodwill claimed that unless torture survivors can present evidence that they will be at risk of further violence if they are sent back to their home country, they have no guarantee that they will be granted asylum in the UK. “When considering asylum claims made in the UK it is absolutely right that we offer protection to those who face torture on the return to their country,” Goodwill told Parliament. “However, this does not mean that all survivors of past torture will automatically qualify for protection. “An individual needs to show there is a real risk of serious harm or persecution on return to their home country. MPs called for the debate following the publication of a report by the charity Freedom from Torture that revealed how asylum seekers find it “almost impossible” to prove to officials they have been tortured. The report ‘Proving Torture’, which examines 50 cases from January 2014 to December 2016, also accuses Home Office caseworkers of mistreating, ignoring or mishandling medical evidence of torture while processing asylum applications. It also claims that despite medical documentation of physical damage and psychological trauma, government’s bureaucracy means that torture survivors could still be refused asylum. The research by Freedom from Torture also reveals that in 74 percent of the cases, immigration officials with no medical qualification replaced a medical report with “their own speculation” of clinical matters when making a decision on asylum applications. The organization also claims that the majority of appealed cases (76 percent) have been overturned in favor of the applicant. 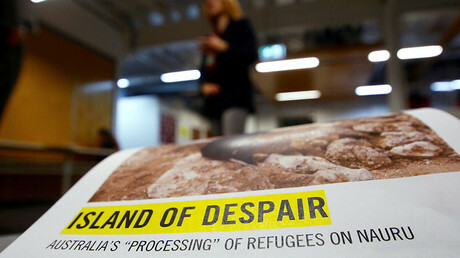 However, the report claims that in 54 percent of cases asylum caseworkers demonstrated “poor understanding” of how the Istanbul Protocol, a UN document setting out international guidelines for the assessment of people claiming to be victims of torture, applies to asylum seekers. A few months ago a Home Affairs Select Committee report revealed the appalling conditions in immigration detention centers, which it claims are infested with rats, mice and bedbugs. The debate also follows calls on the government to do more to help Syrian refugees who have been tortured, as a group of MPs claimed in January that only a few of those entering Britain have received treatment. They said this was down to the complexity in identifying those in need of help. The committee pointed out at the same time that meeting the UK’s target of resettling 20,000 Syrian refugees in the next four years will be a “significant challenge” amid concerns that funding for housing and services is insufficient.